In this blog I have focused on locally sourced wool, alpaca, llama and mohair. But there are also some other fibres that we can obtain locally, and that I can even manage to grow/harvest myself. At least I think so. These are the bast fibres — the fibres that come from plants. 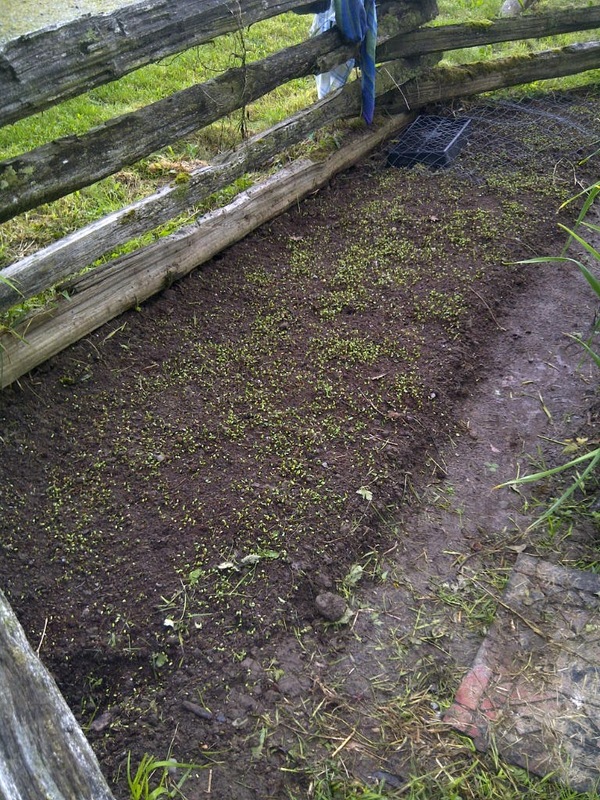 So, last weekend I planted a 13′ x 3′ bed of flax. Flax is the bast fibre used to make the yarn and therefore fabric we call linen. Here it is. Two nights later the scraggly feral cat that’s been visiting lately, used a piece of my newly planted flax bed as a litter box right before he jumped onto my porch and sprayed the wall with his inspiring scent. I am not amused. I covered my flax bed with scrap pieces of wire fencing and a white sheet. Today the rain continued so it’s safe to uncover. My lovely flax is up! Already! My plan is to grow, harvest and then go through all the processes needed to make spin-able fibre. If I have enough for a washcloth I’ll be lucky. 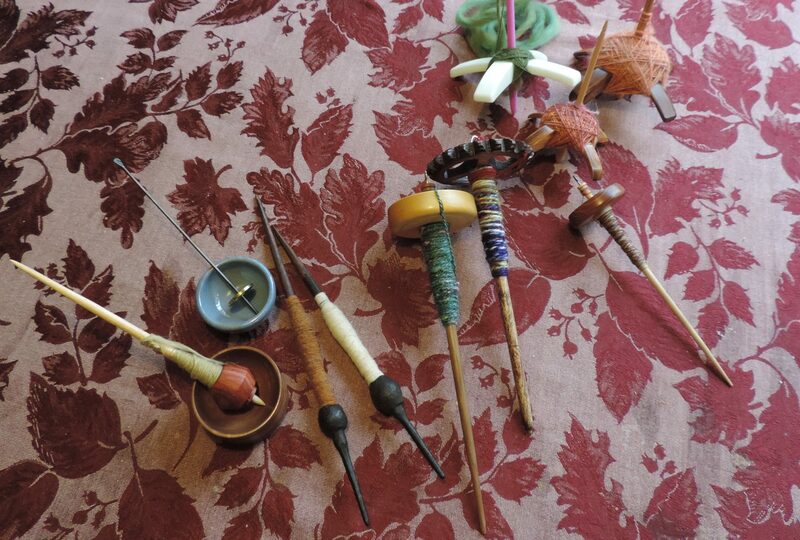 It’s quite a process from plant to spin-able fibre, having a lot of steps and requiring medieval looking equipment. But I have faith I can figure it all out. I mentioned this wee project of mine at our executive guild meeting, and the gals were quite enthusiastic about it. So I’m not alone in this learning process and finding the tools needed to do the job. On my run this morning I noticed a good amount of stinging nettle along the side of the road. That was the bast fibre used in the Hans Christian Andersen story of The Wild Swans. Tomorrow if it ever stops with the torrential rain I am going to find my work gloves and get on my bike and cut down as much nettle as I can manage. I’ll use the nettle to learn about the retting process and other elements of turning bast fibres into something that you can spin, cause those are fibres that are ready right now. This entry was posted in bast fibres, flax, linen, spinning, stinging nettle on June 9, 2012 by DianaTwiss.